Total Cost: 24 dollars for two bottles of spray. Hire a Professional to treat your yard: Hundreds of dollars. As you might remember, this winter was very mild. Here in Atlanta, we didn’t receive a single substantial snow fall and the ground never froze for any extended period of time. You may not have thought about the fact that those hard freezes are what help control insects, fleas and mosquitos especially, during the following summer. That being said, we’re expecting a terrible scourge of mosquitos and fleas this summer. The infestation really has already begun. Fleas started showing up on Winnie and Charlie in February this year. We picked them off and gave the girls a topical treatment. We tried Advantix, and then the new Kirkland brand from Costco. Neither seemed to have a lasting effect this year. 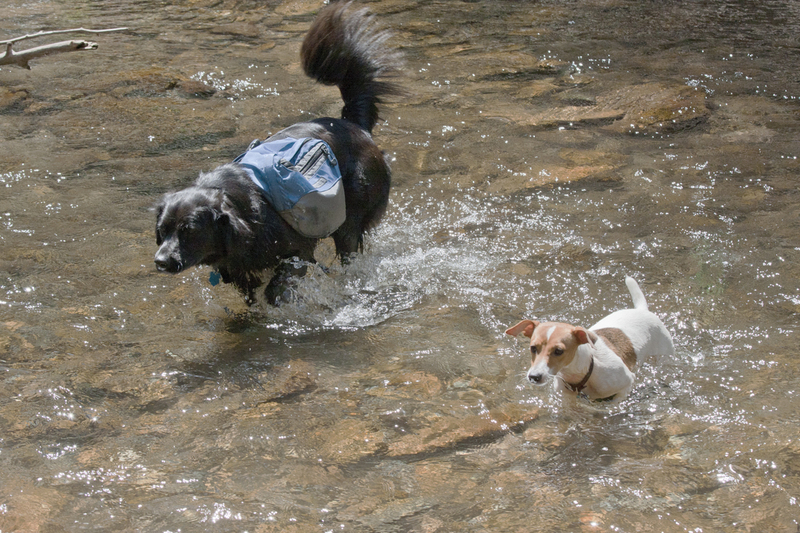 I’ve read that, after extended use, the topical treatments can stop working for your dogs. They certainly weren’t helping ours. 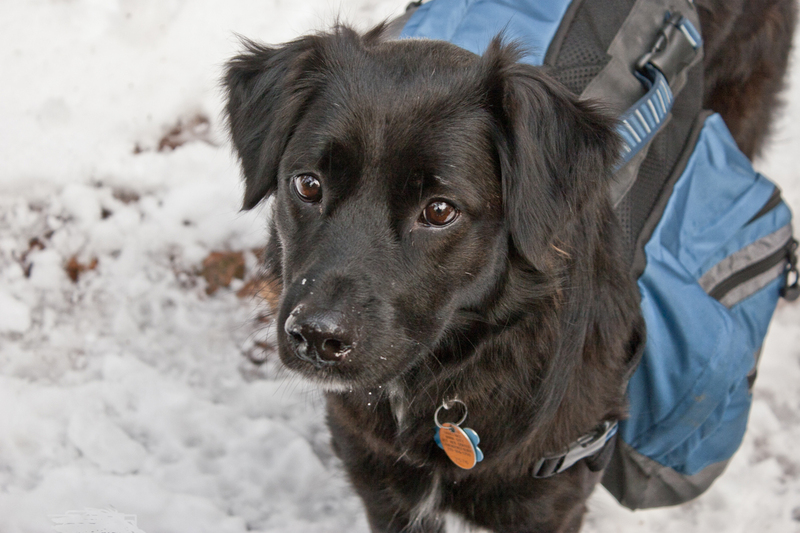 Even with the mildly effective topical treatments, the fleas weren’t all that bad. One here, one there. No biggie. I realized we needed to step it up when we got back from New Orleans after boarding the dogs for four days. While I was sitting down, I picked four fleas off of me in the span of about five minutes. The dogs hadn’t been home in four days. It was time to do something drastic. To control the fleas in the house, we simply washed everything that was made of cloth that might contain fleas or eggs: sheets, comforters, rugs, etc. Luckily, we have hardwood floors so we just had to vacuum. If we had carpet, we’d need to do a steam cleaning. We gave the dogs the more expensive oral flea medication Comfortis from the vet. It really seems to do the trick, plus there isn’t that gross residue on the dogs’ fur. Now here’s the part that most people don’t think about. 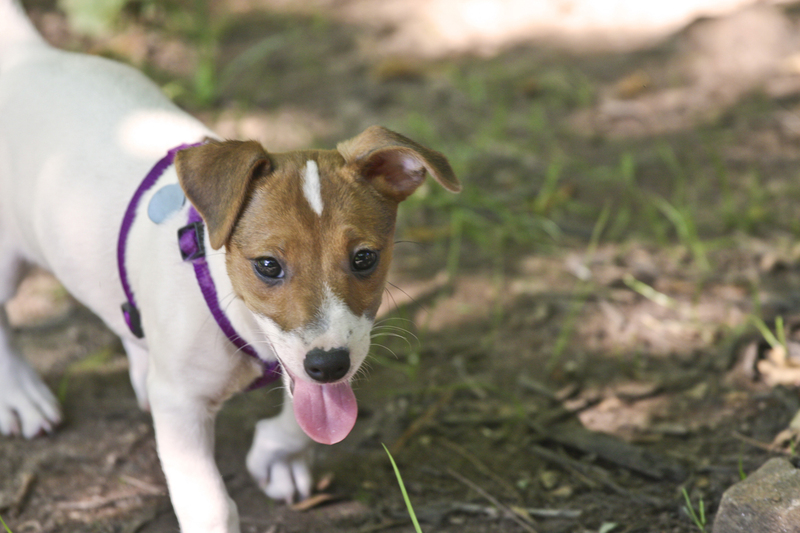 Any flea treatment you give your dog won’t eliminate the fleas in any environment immediately. 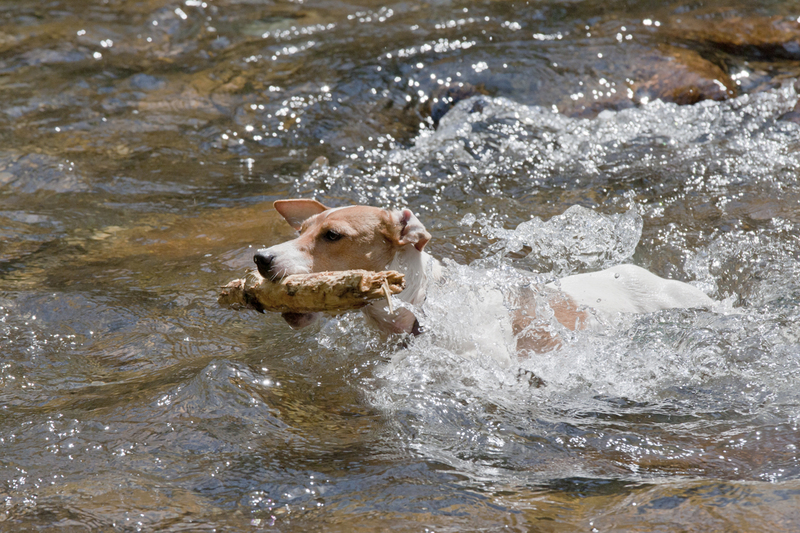 All of the medications treat either the oils on your dog’s skin or their blood to make them poisonous to the insects. Therefore, the fleas only die AFTER they’ve bitten your dog. 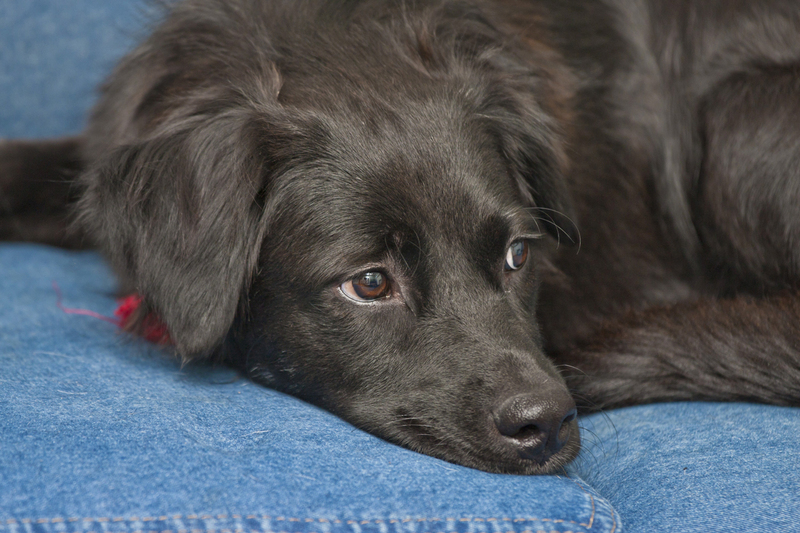 They can still ride inside your house on your dog’s fur and get onto you, healthy as ever. After giving the dogs the Comfortis, they still had fleas that they were bringing in from the yard. Even though the fleas die after biting the dogs, they bother the dogs every time they bite. Winnie just wouldn’t stop scratching. 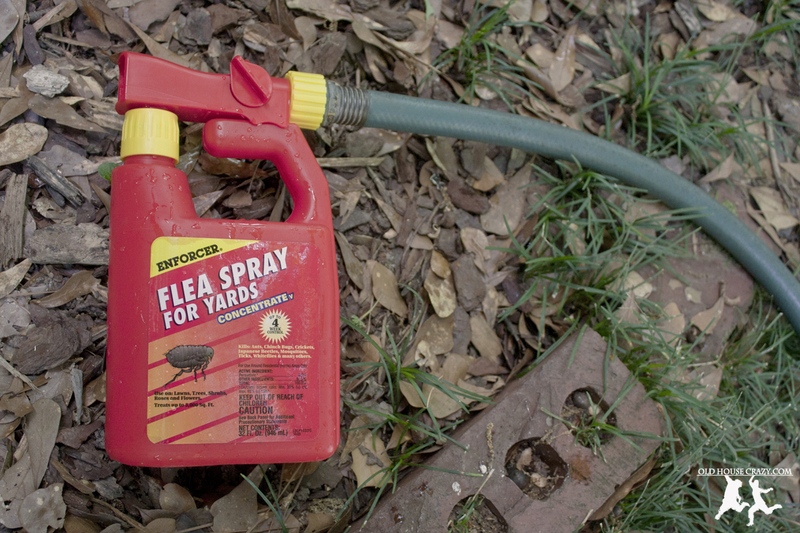 To solve the problem of yard fleas, I went to the hardware store and picked up a bottle of flea killer for the yard. 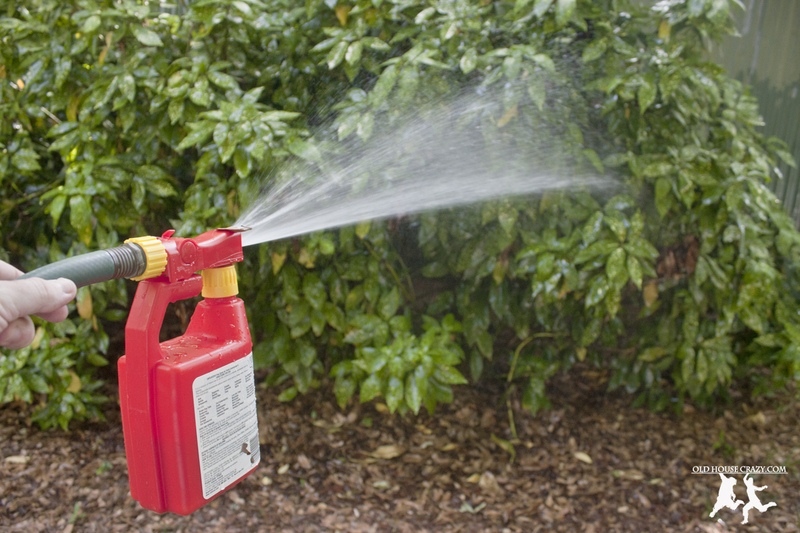 It’s a handy hose-end spray bottle that mixes with the hose water as you spray the yard. Very fancy. 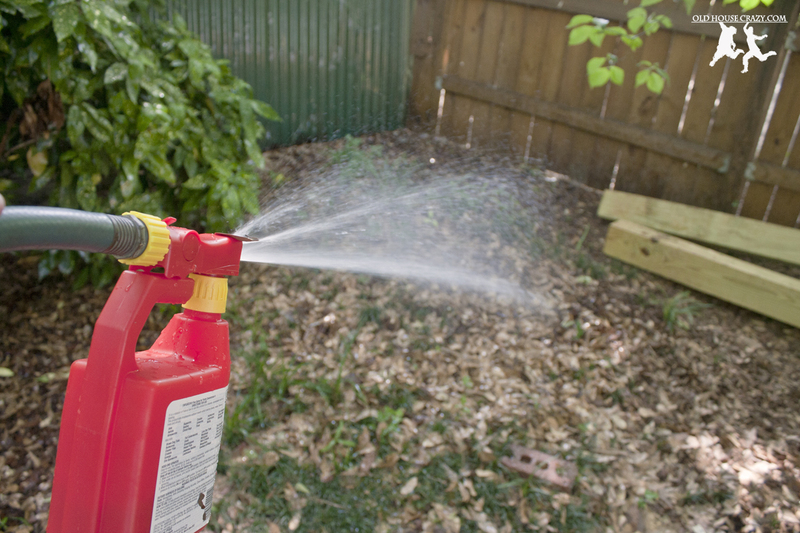 If you can’t find flea spray, pick up a bottle of mosquito spray. They are EXACTLY the same product. Both almost certainly contain the active ingredient Permethrin. It’s the chemical most commonly used to control mosquitos and fleas and can be found in a whole array of products, from doggie shampoo to Exofficio bug repelant clothing. This entry was posted in DIY, Dogs, Don't Hire a Professional, Landscaping, Pest Control and tagged dogs, don't hire a professional, fleas, pest control, pests, Pets, yard work. Bookmark the permalink.